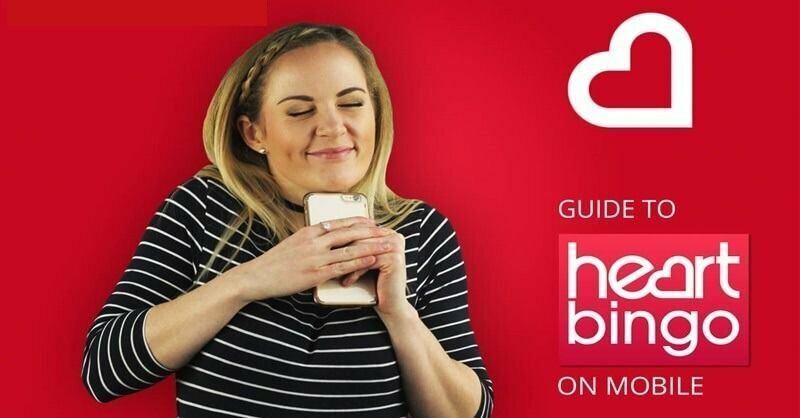 From one of the UK’s favourite radio networks comes Heart Bingo, a top bingo site offering a good range of games, promotions and other features. You can even listen to Heart Radio while you play! Give this Heart Bingo review a read to see if it’s for you. Heart Bingo’s welcome bonus can be redeemed claim when you register with the operator for the first time: 30 free spins on the game Paper Wins and £50 worth of free bingo tickets (in total: 200 bingo tickets). Usually, before you can cash out, you’ll have to satisfy the wagering requirements, though note that some games contribute more to the wagering requirements than others. For example, you need to make a deposit of at least £10 and wager £10 minimum in cash on any game(s). You can use the free bingo tickets on all bingo games on Heart Bingo apart from Session Bingo and Bingo Winners Club. Once you receive your welcome bonus, you’ll have 30 days to use it before it expires. Other terms and conditions apply. One thing you may notice about Heart Bingo is that it’s one of the smaller bingo sites. As such, it doesn’t have as many bingo rooms as some of the larger bingo sites out there. Still, the bingo rooms it has are worth playing at. There are four rooms of 90-ball bingo, one with 75-ball bingo and one with Super Snap!, a bingo/card game hybrid that has five ways of winning. Though the number of bingo rooms isn’t too high, there’s still a good variety of bingo games on offer. The lobby interface is laid out simply and is easy for newbies to make out what’s going on. You’re told everything about the bingo room, including how many players there are, what price tickets are etc. You can access the bingo games simply by clicking on the Bingo tab; there are other tabs for other games available at Heart Bingo, such as slots, casino games and scratch cards. There are over 100 slots available, as well as three casino games and 10 scratch cards. For existing customers at Heart Bingo there’s a very good range of promotions available, with over a dozen listed on the site at the time of writing. A lot of the promotions offer cash prizes in the hundreds or thousands, with many offering them for players who are lucky enough to get Full House while playing the special promotional bingo game. Some of the listed promotions are exclusive to chat rooms and offer things like quick-fire quizzes and even live quiz games as an alternative to bingo games. Heart Bingo’s Rewards Station is a loyalty scheme that allows players to collect points when they play games and eventually exchange them for cash. As for Heart Bingo VIP, it offers players extra special bonuses and rewards such as holiday vouchers, cash bonuses and shopping days. The website offers some information about it on the Promotions page but there’s no link to the VIP page itself. There’s also no information provided on what you have to do to join the VIP club, though it appears to be invite-only. The Heart Bingo mobile app is available for iOS and Android devices and is worth downloading if you want to play bingo on the go. It comes with most of the games you’ll find on the desktop website, and it has some good graphics. You can deposit money with just one tap and the user interface is well laid out and easy to use, so newbies shouldn’t have problems finding what they're looking for. One of the best things about Heart Bingo is its lively atmosphere and welcoming bingo rooms. The bingo rooms attract lots of players and generally speaking, players tend to be friendly and sociable. Heart Bingo is quite active on social media, with its accounts posting regular updates and information on the latest promotions and bonuses. Overall, Heart Bingo has quite a tight-knit community since it’s not one of the bigger sites, so it’s definitely worth checking out if you want to be able to get to know other players better. If you want to play at Heart Bingo, you’ll find there’s a good range of payment options available, including some of the most popular ones used today. There doesn’t appear to be any fees imposed by Heart Bingo for using these payment methods. However, you should bear in mind that your payment provider might impose fees for carrying out transactions with Heart Bingo. Withdrawal times are generally quite fast: with Paysafecard and Paypal it should take just a day for your withdrawal to reach you. If you’re using Visa debit it should take 2-3 days. For any other payment methods, including Neteller, Visa Credit and MasterCard, it should take 3-4 days. Heart Bingo offers three ways of getting in touch with customer support. You might want to check out the F.A.Q.s first before getting in touch as it’s quite extensive and offers lots of pre-set questions and answers that might be helpful to you. If you choose to use customer support, bear in mind the website doesn’t list availability or typical response time. Generally speaking though, most casinos have customer support available every day from early in the morning to late in the evening, so chances are it’s the same for Heart Bingo. Based on reputation, it seems that the customer support at Heart Bingo is quite good, with few complaints about response times. Though it’s one of the smaller, more boutique bingo sites, that doesn’t mean Heart Bingo isn’t worth playing at. It has a friendly atmosphere, a simple layout and a decent number of games to keep players entertained. You can even listen to Heart FM while playing – something that definitely sets Heart Bingo apart from the competition! If you’re after a bingo site that’s not as busy but still has plenty to offer, check out Heart Bingo. Be sure to claim your welcome bonus when you sign up.